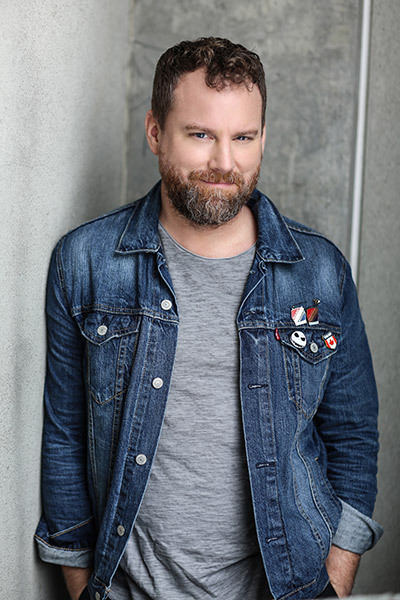 Our interview with talented Canadian actor Patrick Gilmore who can be seen starring Netflix’s brand new series, “Travelers,” alongside Eric McCormack. The show follows a trained team of surviving humans from hundreds of years in the future who discover how to send consciousness back through time, into people of the 21st century. These “travelers” assume the lives of others, while attempting to save humanity from a terrible future. Patrick is a scene-stealer as David Mailer, a funny yet sheltered social worker who cares for a traveler: a young, intellectually disabled woman named Marcy Warton. 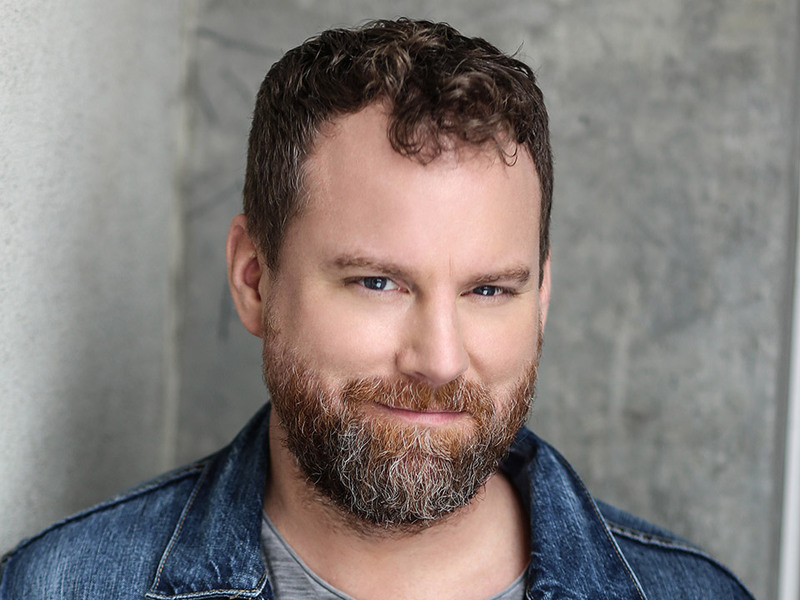 He can next be seen reprising his recurring role as Shaun on the critically acclaimed comedy “You Me Her,” and will premiere the 2nd season on February 14th on the Audience Network (on DIRECTV and AT&T’s U-Verse) and the streaming service DIRECTV NOW. 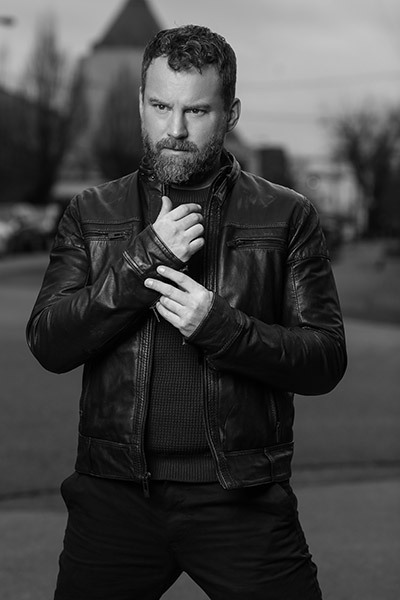 While Patrick has been consistently working in the entertainment industry the last 15 years and has over 70 credits to date, he may be best known for his role as Dale Volker, a fan favorite in Syfy’s “SGU Stargate Universe” from 2009-11. Hi, Patrick, please tell us a little about you? Well, I’m about 5’10”, I drink a lot of egg nog, I don’t have any piercings, I talk to myself and I waved at Bob Hope once. I also enjoy Steinbeck and that pre-sneeze high. My dad brought home a camcorder and showed me how I could “be on a television.” Blew my mind. I was maybe 6. Hooked. I didn’t. I got a degree in English Literature from the University of Alberta instead. I minored in History. It all feels like storytelling, so acting made sense. What’s the best part of being an actor? And worst? Best: That rush you get from getting lost in the fantasy of a scene. It feels like flying. Any other family member in the business? I have a cousin who’s a stage actor on the east coast. Another cousin who’s studying to be a Foley artist. Chris Jericho is a distant cousin; I hear he’s in the biz too. It’s really just a desperate attempt to prolong my childhood. And the amount of time I spent in the principal’s office made me a good storyteller. How did you start on Netflix’s “Travelers”? And what the series is about? I had worked with Brad Wright on “Stargate Universe” and he actually wrote the part of David on “Travelers” for me. Of course I still had to audition for it, but Brad’s words were right in my wheelhouse. I owe that man a lot. And about your character David Mailer? David is an optimist thrown into an impossible scenario. With the sudden appearance of a Traveler in his life, David’s quiet, safe world begins to fall apart. It’s fun watching it all unravel. Fun for me, maybe not for David. I have a fun role on the Audience Network show, “You Me Her.” The second season just wrapped and that was a whole barrel of crazy fun. I play a small role as Shaun the bartender. He sticks his nose in everyone’s business and offers unsolicited advice. Stellar cast, stellar writing. Sleep in. Watch football. Eat. Bedtime. I spend my days off searching desperately for what might make me happy. Isn’t that what we all do? Napping seems to be the best answer so far. I binge so many shows, but every year I re-watch the entire run of “It’s Always Sunny in Philadelphia” and every couple of years I re-watch “The West Wing.” I can’t keep up with the amount of great TV we’ve been blessed with in recent years. I am all over the map with genres. “The Tragically Hip” are my favorite band. Also “Feeding Like Butterflies.” You can find them on iTunes. Brilliant. Loreena Mckennitt’s ‘Lady of Shallot.’ It holds a special meaning to me. Touches on a certain time in my life. Very nostalgic and helps me sleep. Liev Schreiber. Kaitlin Olson. Wes Anderson. I’d like a career that affords me the time off to travel. Or better yet, a career that has me acting all over the world. I want to see Earth before we destroy it and ourselves. We’re running out of time. My brother, Scott Gilmore, founded a charity called Building Markets. They go into developing, war torn countries & support local entrepreneurs, rebuilding the country from within. They’ve redirected over $1 billion into some of the poorest regions in the world. Check them out buildingmarkets.org. I have a love/hate thing with social media. It’s where I get my news, it’s become integral to my work, and it’s also where all the hate in the world hangs out. Sport Team: The Edmonton Oilers & The Denver Broncos. Restaurant: La Taqueria Pinche Taco Shop. 3 locations in Vancouver, BC. BEST tacos! Travel Destination: London, England is my favorite city in the world. I also like beaches with no one around.